Basic SET-CAP-MARSHALL-003-B Weight 0.408 lbs. Premium SET-CAP-MARSHALL-003-P Weight 0.36 lbs. 1 answers Is this the correct cap set for a Marshall master model 50w Mk2 lead, Mine has 'Daly' blue caps, that seem a taller than these ? Hi, we can only confirm that this cap set will work with the following amps: Marshall JCM800 2204, 4010, 4104. You may want to consult your schematic to confirm that these are the correct values for your amp. 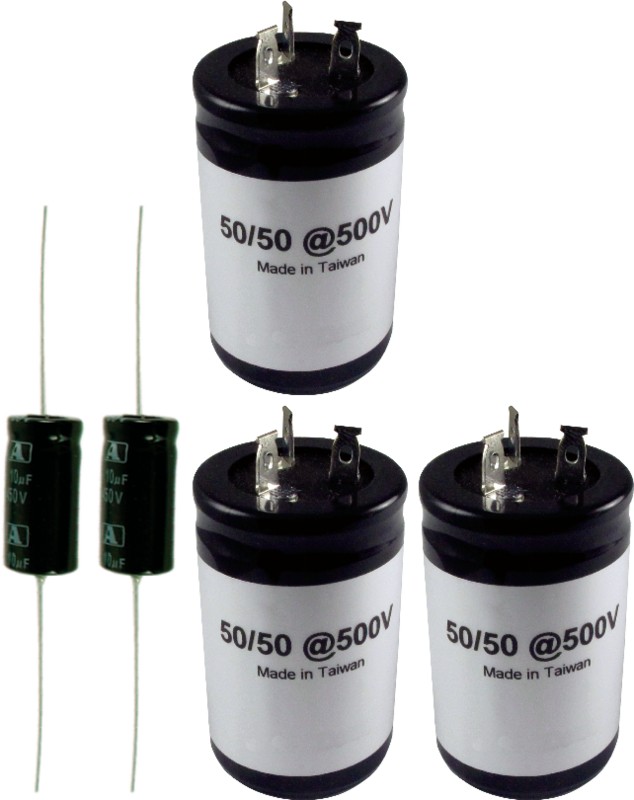 1 answers I have a `72 and `76 Marshall JMP 1987 50 watt MKII Super Lead amps, are these the correct value set of capacitors for these amp models? And, is there any other caps that I will need to replace? Since there were so many subtle differences between these amps the best thing to do is consult your schematic to confirm that these are the correct values for your amp. 1 answers My JCM800 4010 only has 2 50+50 caps in it. Is one of the caps in this set a spare? From what I could see, some models and variations of the JCM800 circuit have three 50/50 caps. The extra can be used as a spare if your model only has two. Caps can also be purchased individually by value. 1 answers I have a 1981 jcm 800 4104 should the original caps be replaced? 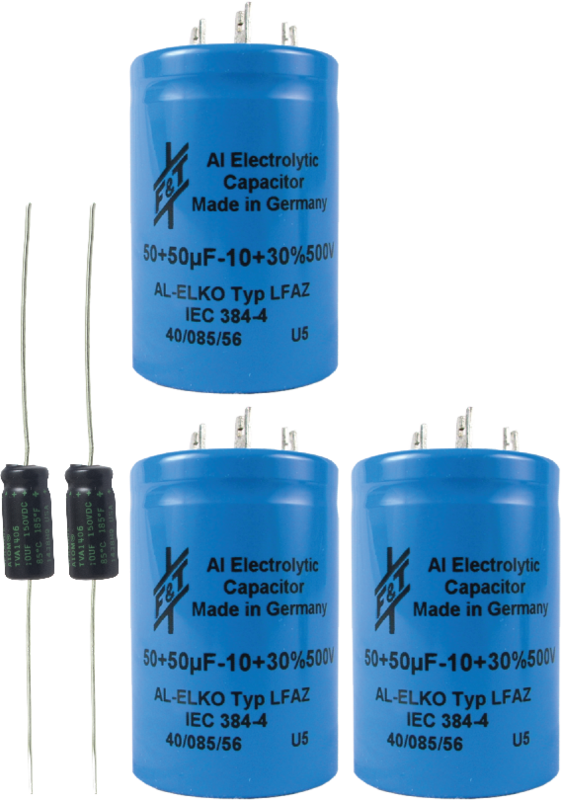 A general rule for electrolytic capacitor replacement is 10 years for optimal performance. If the caps have never been changed then it would be a good idea. Kind of like doing an oil change on your car. 1 answers Will these fit the 83 4210 JCM800?